Foraging for seashore plants, some might suggest, could be harmful to the environment, plundering the natural recourses. But those who do, because they are more aware of the natural world and the pressures on it, are more likely to (and feel a ‘moral’ duty to) do their best to protect it. While the issue is not a simple one, it is unlikely that many will take up hunting and gathering as a way of life. And as long as gathering is done on an occasional, individual basis and only picking what you can use, it is unlikely that the environment will suffer. "When the tide is out the table is set." The seashore plants that thrive along the coast have to tend with exposed salty environments. In order to survive many have developed the thick succulent leaves that that make them such tasty vegetables. This is probably also why the seashore is one of the few places left where wild food can be gathered, as inland, hedgerows and woodlands succumb to the need for industrial farming methods. Unfortunately the growing numbers of folk tramping along the seashore is also a problem for many seashore plants as habitats are disturbed. But it is not the foragers that are the problem. It is the folk who don’t know, or care, what they are trampling on. Foragers do care, so they are less likely to damage these habitats. There are several edible seashore plants which flourish in salty atmospheres yet like to keep their toes dry. Fennel and Alexanders thrive well above the tide line and have been enjoyed since Roman times. Sea Beet, Wild Spinach or Sea Spinach can also to be found on dry land well beyond the reach of all but the highest tides. It looks similar to the familiar cultivated spinach but it is much fleshier with a tangier flavour. It has a pungent taste rather like the leaves of cultivated celery. Sea Lettuce, as the name suggests, is a sheashore plant that looks remarkably like cultivated lettuce, it can be found growing on stones close to the shore. Beach Pea can be found in sheltered nooks on sandy beaches, especially in late summer when the pods ripen. For the sweet toothed, the Hottentot Fig produces a fleshy, fig-like fruit that makes superb jam can be found on coastal sands and bluffs from Mexico to Southern Oregon, and South Africa. Beach Strawberry is another seashore plant that can be found on dunes and bluffs from Alaska to South America. 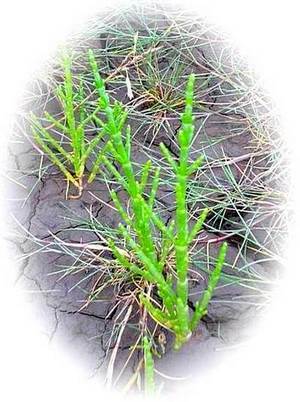 Of the seashore plants that do like to dip their toes in the edge of the sea, my own favourite is Marsh Samphire. Marsh Samphire, Salicornia, Glasswort, Pickleweed or Poor Man’s Asparagus, lives just below the highest, high tide line where it is only washed occasionally by the tide. This is not the same as Rock Samphire which prefers to keep its toes well out of the sea. It tastes rather like salty asparagus and can be eaten raw or cooked, an excellent accompaniment to any fish dish. Sea Rocket can be found along high tide line on sandy beaches. Sea Rocket is quite pungent but can be used, sparingly, in salads, steaming will help remove any bitterness. The seed pods can be used to make a horseradish like sauce. Orach, also know as Saltbush or Orache and Sea Blite, Suaeda, Seepweed or Seablite are some the many varieties of oraches. These tide-line plants are relatives of spinach and can be cooked in the same way, they are best cooked as the raw plant is rather bitter. Sea Purslane is another marsh plant that likes to dapple its toes in the sea’s edge. The raw leaves are salty and slightly crunchy, excellent when chopped fine and added, sparingly, to salads, or used as a condiment in stead of salt. Boiling for a few minutes will help reduce their saltiness. 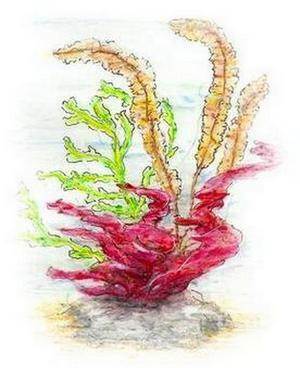 Seaweeds are very common, easily picked for free and are very nutritious. 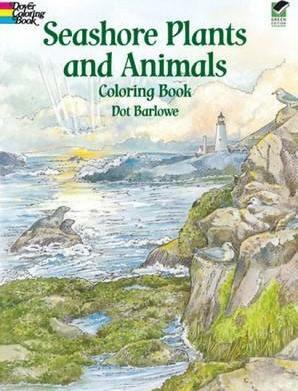 While seaweeds are officially classified as algae, for the sake of simplicity I will include them as seashore plants. They contain many minerals in particular iodine as well as vitamins and proteins. Unfortunately apart from Dulse few can be cooked up as a simple vegetable. They tend to mostly be used as a favour enhancer, as condiments or in salads. And they are something of an acquired taste. Yet they are once again appearing on menus as Japanese cuisine becomes increasingly popular. Fortunately you don’t have to pay restaurant prices to try them, just walk along a rocky shore as the tide goes out, pick from young growths and try them raw. Laver is one of the seaweeds found in Japanese cuisine, however, it has also been a long time favourite in Wales. ‘Laverbread’ is, to all intents the Welsh national dish. Irish Moss, or Carrageen Moss is called Irish as it has been eaten there for centuries. It is also the plant from which the gelatine used to make ice cream and beer is extracted. Dulse is used as a snack food, most famously, along with “Yellow Man” at the “Ould Lammas Fair” in Ballycastle, Northern Ireland. Dulse, Palmaria palmate, Dillisk, Ddilsk, Red Dulse, Creathnach or Söl is a rather rubbery seaweed when raw, it becomes much more edible when cooked or dried. It is also a favoured ingredient in Alaskan native cooking when added to soups and chowders. Bladder Wrack or Bladderwrack, is the main ingredient in many nutritional products, like many seaweeds it is rich in iodine. It can be cooked, added to stir-fries or used like laver. Edible kelp is another excellent and nutritious ingredient to add to chowders, soups, stews, casseroles. And it can be used to make delicious crisps. Best to be careful when using seaweeds as flavour enhancers, as some do, unfortunately, taste a bit like medicine, it’s the iodine in them.